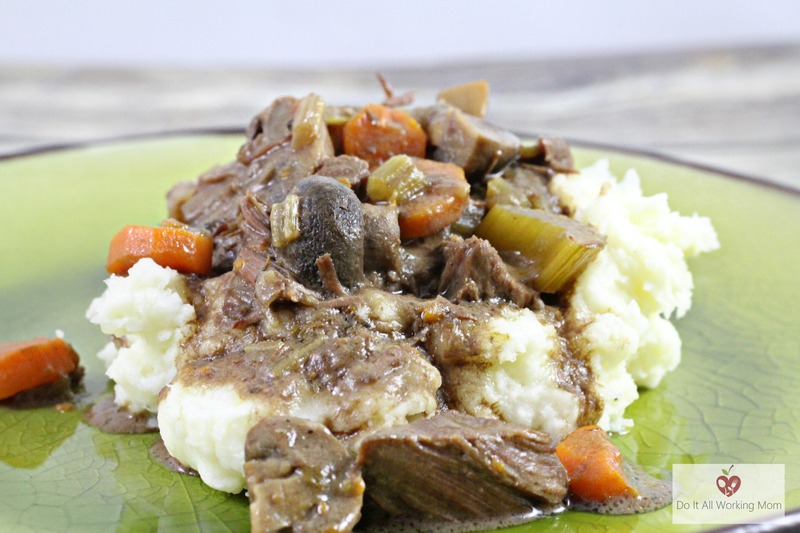 I love Beef Bourguignon, it’s such a simple dish to make and it can feed a crowd. if you don’t have a crowd to feed, that’s fine, you can freeze the left over in plastic Ziploc bags. 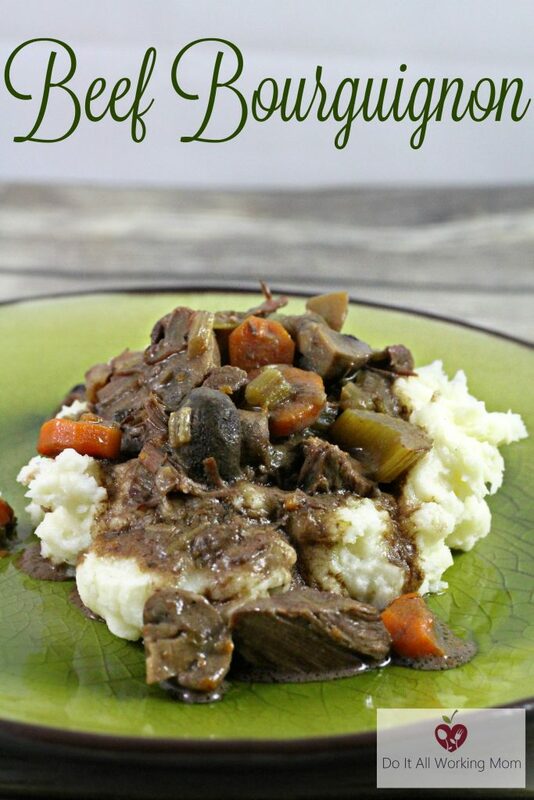 I always have Beef Bourguignon, chili and spaghetti sauce in my freezer. They’re perfect for those busy weeknights when you’re too busy to cook, but don’t want to eat out. I start my Beef Bourguignon at really low heat for a few hours; I then turn the heat up higher for the rest of the cooking. I find the meat is so tender that way, and not dry at all. Top with all the vegetables and onion soup mix. In a bowl mix the cream of mushroom, mayonnaise, red wine and beef consommé until smooth. Pour over the meat and vegetables. Add the garlic, bay leaves, parsley, thyme, salt and pepper. Add 1 cup of water to the pan and mix the other cup with the flour. Mix well to make make sure there are no lumps. Add it to the pan. Place the cover on the pan and cook at 250 degrees F. for 3 hours, stirring every hour. After 3 hours, turn the heat up to 400 degrees F. and cook for another 2 hours stirring every 30 minutes. Serve over egg noodles, rice or mashed potatoes. Place beef at the bottom of a large roasting pan.